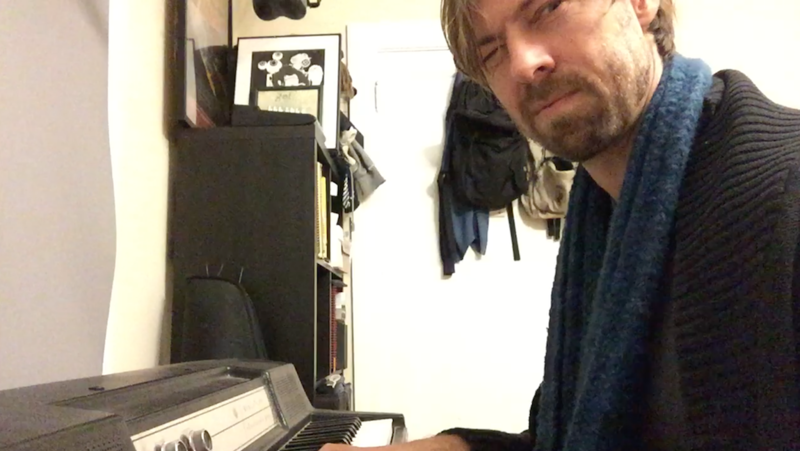 Performing a rare whiskey roots redux, Jason pays tribute to the embarrassing episode 1 of Whiskey Roots with this rendition of Of Montreal's Touched Somethings Hollow, recorded back when the sweet sounding wurli was still in his apartment! As non-fan of the show Michael C wisely opined while repossessing it, 'No one can hold onto the sweet sound forever'. I think he also may have said you have to make the most of it while you have it, but I may be making that up. Whiskey: i think it was actually more box wine. Scarf knitted by friend of the show Lourdes M.
Cardigan provided by friend of the show Ben B.